Two layers of soft, lightweight MicroSpring Textile™ form a loose-fitting tube that stays in place to protect fragile skin from pressure, friction and minor traumas that result in tears, bruising and minor abrasions. Unlike traditional fabric sleeves that are tight and binding, the layers of microfilaments allow air-flow and moisture transfer. The addition of the Knuckle Protector covers sensitive knuckles to prevent bumping, and scraping. 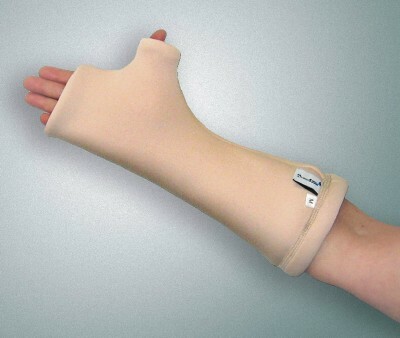 Perfect for those using wheelchairs who may bump their hands, knuckles and forearms.